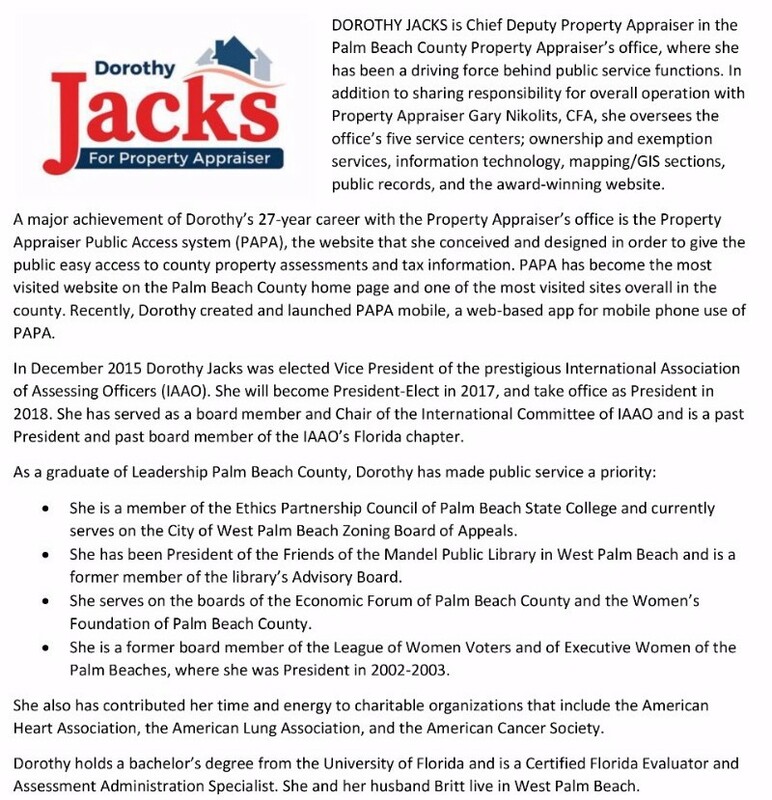 My good friend Dorothy Jacks is running for Palm Beach County Property Appraiser. Dorothy is the current Chief Deputy Property Appraiser and the current Property Appraiser Gary Nikolits has endorsed Dorothy for this post, and she has also been endorsed by a large number of local leaders and organizations, reflecting broad support in the community. Dorothy has over 27 years of experience with the Property Appraiser’s office where she oversees the office’s five service centers, ownership and exemption services, information technology, mapping/GIS sections, public records, and the award-winning website. 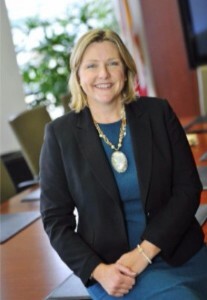 The Office of the Property Appraiser, which is a non-partisan office, is tasked with identifying, locating, and fairly evaluating all property within the county for property tax purposes. The resulting appraisal values help determine operating budgets for the County Commission, the county’s 38 municipalities, and all of the county’s constitutional offices. 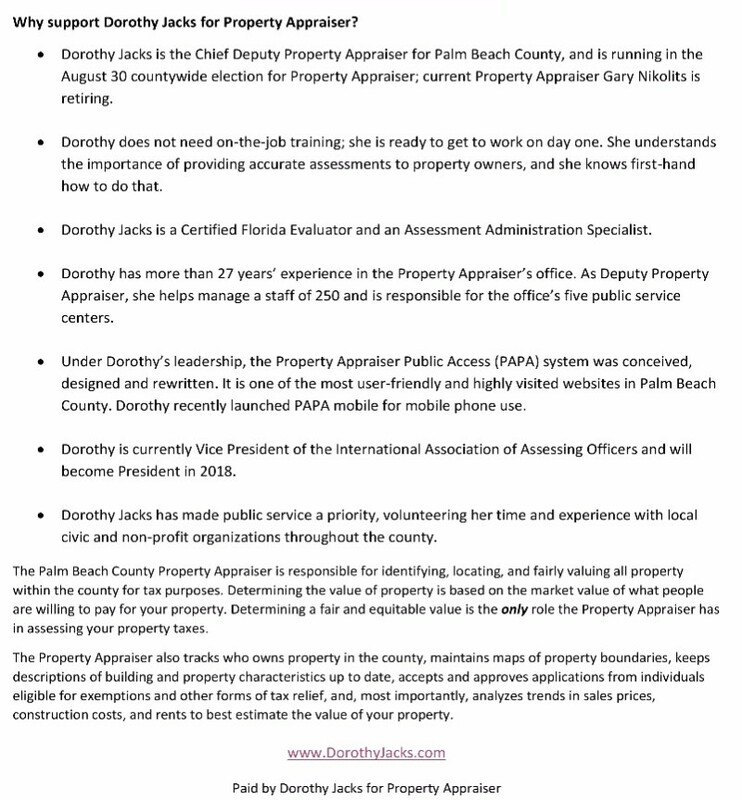 Dorothy Jacks is very experienced, uniquely qualified and understands the Property Appraiser process. Please learn more about Dorothy by visiting her website www.DorothyJacks.com and consider endorsing her candidacy at http://www.dorothyjacks.com/endorse-dorothy/ . Dorothy is also on Facebook, so please go and like the page – https://www.facebook.com/DorothyJacksforPropertyAppraiser If you would like to connect with Dorothy more, please contact me and I can arrange for you two to talk. The Election is at the end of this month, on August 30th, so I wanted to ask for you to please vote for Dorothy Jacks, and I thank you in advance for your support.